Sigh… DIY – how we love thee. Ah… the Nutribullet – what was this life like before you? So, since giving some major props to my Magic Bullet, it conked out on me and I received a Nutribullet as a birthday gift from my fabulous broski and sissie. I guess I used the poor little guy too much (plus I’d received it “used” from a friend who no longer needed it) so this isn’t to say it isn’t a good little gadget. Over the Christmas holidays, I watched Shameless Maya make body butter as gifts for her family on her YouTube channel. How cute! But then my intrigue was piqued when she brought HeyFranHey on some weeks later to go through all the steps to making the butter. It’s so easy peasy and budget-friendly that I had to try for myself. 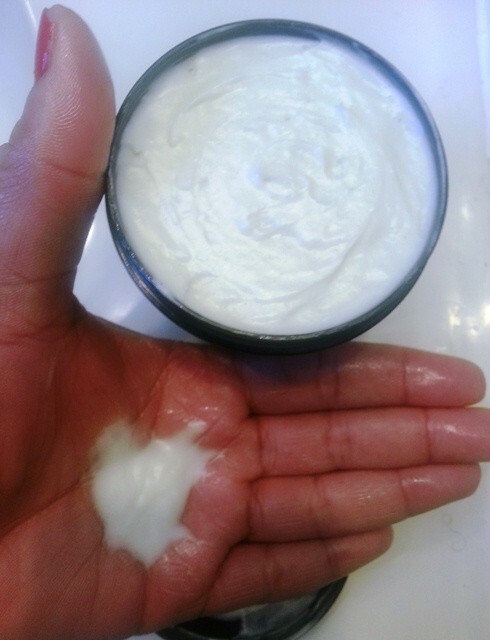 Plus – I always have a chunk of raw shea butter among my skin/hair products. 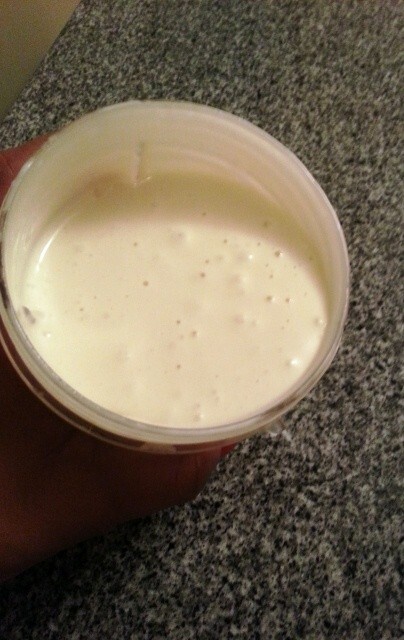 1lb Raw shea butter – purchased from my local beauty supply store. Blast away and it is done in seconds. That’s it. At first, I thought that the consistency was more on the runny side, and I feared maybe I’d used too much oil in proportion to the amount of shea butter I had. Whatever state it was in, though, it was still good to use so I wasn’t too worried. I poured the mixture into some recycled skin product containers that I’d kept and cleaned and let them sit overnight. By the next morning, the mixture had that lovely whipped texture that I was after – yay! Results on my skin: I have been using it after I shower (leaving my skin damp) and I wish I had used this stuff during the winter. As I had said in our Winter Skincare regimens, I only use Palmer’s Cocoa butter on my skin, but this stuff is so fab. And smells SO lovely thanks to the lavender. 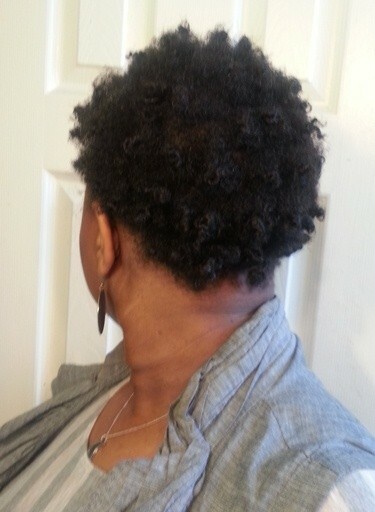 Results on my hair: when I used it to style my hair, my hair maintains great shine and moisture…. and even a bit of definition which was a pleasant surprise. I’ve found a holy grail product and happy to say I made it. The greatest part about DIY is knowing exactly what is in your results. Now I’m going to get other oils to try other mixtures and fragrances. They really do make great gifts if you’re on a budget or just don’t know what to get for someone. What girl (or guy!) doesn`t want soft skin? And there you have it – another use for the Nutribullet. This is pretty awesome 🙂 The shea butter looks like it’s a little hard – do you have to let it soften like regular butter before you can blend it or is it already pretty soft? It’s maleable and by the time I’d poured the warm coconut oil over it, it helped a bit, or it can be added in smaller bits! This is such a great DIY and your results look great. Its a great gift for people who are too lazy to make it. You know, like mothers, siblings, CO-FOUNDERS…people like that. Now if only I could find a co-founder…. 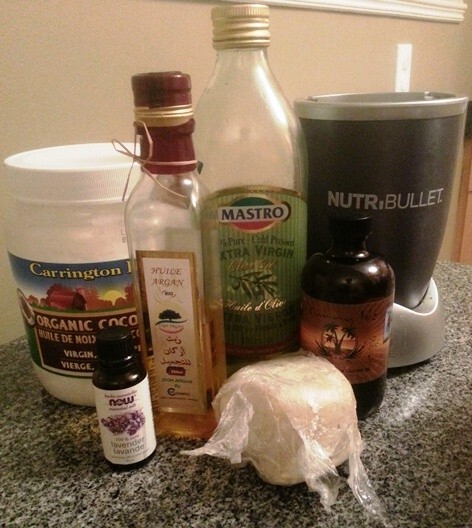 I love how a big chunk of raw shea butter is among the things you have on hand at all times, and I think it is so nice that you still gave props to your Magic Bullet. This is so great, and I love the combination of ingredients you used. 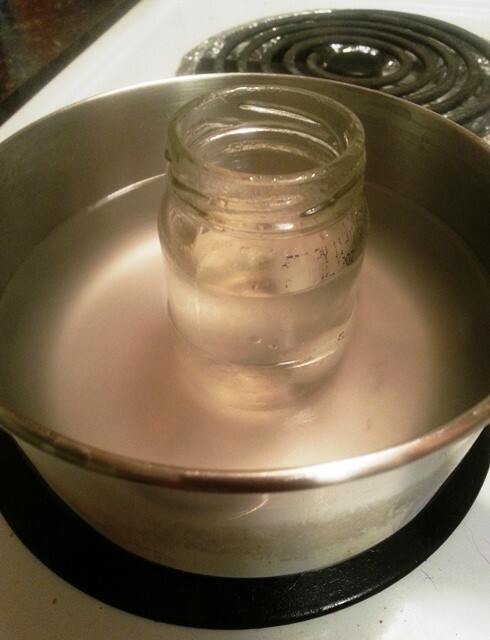 I don’t like lavender too much, but am very fond of sandalwood and eucalyptus, so maybe I will try a little kitchen alchemy of my own and see what I come up with! I have 2 questions: Do you keep your mixture in the refrigerator? If not, what do you think the shelf-life is, roughly? Hi Seph! I didn’t even think of keeping it in the fridge; I keep it with my other skin/hair care products. I don’t want to compromise the texture of the mixture. Since it’s all natural oils etc, I don’t really see it expiring anytime soon (maybe 6months to a year???). But then again – if you’re like me and use it daily (on my skin, couple times a week on my hair) that wouldn’t be a worry haha! I was wondering if it would work minus the black castor oil? I don’t own any but have everything else to hand. Thank you. Hi. it looks like a terrific recipe. Thanks for sharing. Which blade did you use–extractor or milling? Hi Terry – I used the extractor blade to make the butter. Thanks for reading! Thank you so much for these fabulous ideas – I thought you’d like to know that I have featured and linked to this post on my round-up of 20 unusual things to make with a Nutribullet. Thank you again! That was a great post – thank you for sharing!